Britney Spears rewarded several fans with handwritten notes with a personal invitation to see her show in Las Vegas. A representative for Britain's The Voice has played down the furore surrounding a quip Boy George made about sleeping with Prince, insisting he was joking. Justin Bieber has apologised to Norwegian fans after storming offstage during a gig in Oslo on Thursday night (29Oct15). 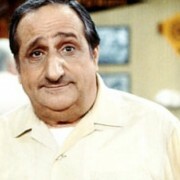 Al Molinaro, best known for his role of Al in the hit TV series ‘Happy Days’, has died in Los Angeles at age 96. Gwen Stefani is focused on her "spiritual exercising" in the wake of her split from her rocker husband Gavin Rossdale. Singer Ed Sheeran has passed his driving test, nine months after he first got behind the wheel for UK TV show Top Gear. The Anathema tour has been making its way across Australia with the final two shows for Melbourne and Perth this weekend. Boy George stunned fans and his fellow judges on UK talent show The Voice recently when he boasted about sleeping with Prince. Pop star Rihanna has landed a lucrative $25 million sponsorship deal for her next tour, according to a U.S. report. Soundwave has dropped its 2016 line-up so far with the evasive Disturbed finally giving in to go on the bill. 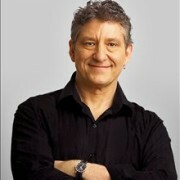 10 more Bluesfest sideshow dates around Australia have been announced. They don’t make stars like Engelbert Humperdinck anymore. 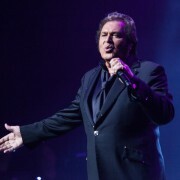 Once upon a time fame came from talent, not celebrity and Engelbert Humperdinck is one of the greatest talents of the past half a century. To be in the presence of a star like Engelbert Humperdinck is to be in the presence of greatness. Metallica has announced a new, limited edition, vinyl set containing four shows from their 2014 Metallica by Request Tour. 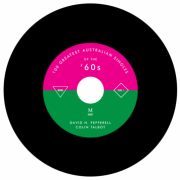 David Pepperell and Colin Talbot’s historic collection ‘100 Greatest Australian Singles of the 60s’ will be launched in spectacular fashion this Sunday afternoon in Melbourne. There will not be a final Black Sabbath album. Jeff Lynne's ELO amazingly sound both modern and like their original 70's selves on the new single One Step Out Of Time. Rock band Queen used to love head banging to their own music while driving in their cars. Another preview of videos from the enhanced 1+ by the Beatles has been released. What Are Foo Fighters Counting Down Too? The Foo Fighters have put up a new entry page on their official website with a countdown clock that is pointed towards November 23. Music legend Engelbert Humperdinck is performing Ed Sheeran’s ‘Thinking Out Loud’ on his current Australian tour and he says he is a big fan of Ed’s. Julie Anthony, one of Australia’s finest voices, will release a new compilation ‘Memories: The Ultimate Collection’ for Robert Rigby’s Ambition Entertainment in November. John Paul Young has put together a show based on a complete set of Vanda and Young material. 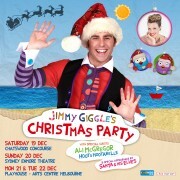 Jimmy Giggle, the Mick Jagger of 2-year olds, has gathered up a few famous friends, such as Tina Arena, David Campbell and Kate Miller-Heidke, for his new album.